Camping for £5 and Glamping in Pod's, Caban's, Yurt's and Eco Den's for a variety of prices. Or if you prefer to stay indoors they do beds in basic bunk house Dorm rooms from £10 as well as a range of more luxurious and private options in the Main Centre. They do a full cooked breakfast for £6. It can be a bit noisy so if you are a quiet sleeper I recommend earplugs for everything from a flapping tent to a toilet flushing down the hall. B&B for 1 or 2 people - from £72 or £85. Caravan, Camper van or Camping £12 per person. 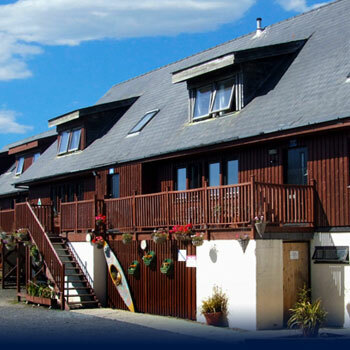 A wide variety of self catering cottages on Anglesey from a local, friendly and efficient company. 1.5 miles down the road in Holyhead. You know what you are getting with travel lodge. Their cheaper rooms go quickly so book early. Rooms from approx £60 (plus a 30% discount if you book more than 60 days in advance), Unlimited Breakfast for £8.25, Dinner from £10.20.